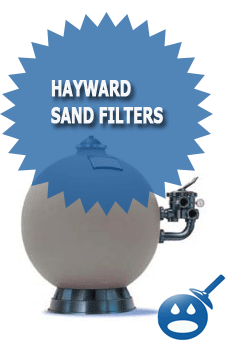 I have a hayward pro series high rate sand filter, installed about 3 weeks ago. The vari-flo control valve is very hard to turn, but I managed to turn it to backwash as the pressure gage was reading around 20. When I turned the valve back to filter, the water was still draining out of the blue tube and out of the pool. Also, now the valve wont even budge and is stuck on the filter setting even though it is not filtering. What could have caused this? You may just need to wash the valve out, There could be some sand or debris stuck inside. Again I vacuumed and chemicals perfect, but once again the green is coming back. I have good pressure. 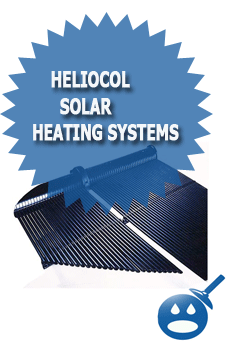 Could it be that I need new sand in my sand filter . If so, is it hard to take apart and put new in? 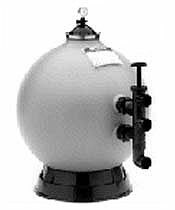 We installed a HaywardS200 Sand Filter & Hayward Superpump 1HP in May, 2009. It was originally leaking from the top dome and the side bulkhead fittings at the filter connection. We had it serviced in June and it stopped, but the side bulkhead fittings are leaking again where the fitting goes into the filter not the connection from the pump. Is this a defect in the filter? How can we correct the problem? I would first back wash the pool filter and see if that helps. If that does not help, I would unscrew the fitting and wrap them with Teflon tape. I need to change the sand in a hayward S200. Are there any instructions out there for this? Please let me know if you have any other questions or need more help. 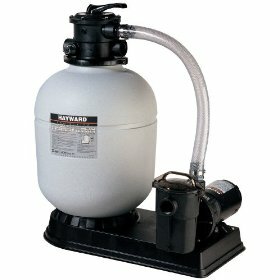 i bought a used (this is waht it says) aqua tools sand filter… have you ever heard of this product? 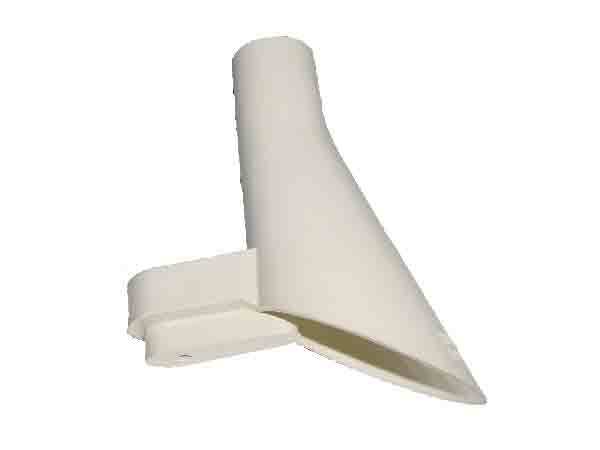 and it is missing a clamp, i have been trying to find this product and part every where if you can please help. The tank on my S200 sand filter cracked and I need to replace it. It has been suggested that I could buy the top valve filter tank S210T for less money and it does the same thing. Is there a difference in performance? How often should I change the sand on my S-200 high rate filter? Is there a way to tell when it is necessary? Thanks! 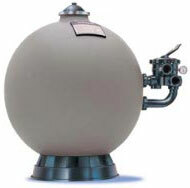 I have a S-244T sand filter. We had a big wind storm in our area and it blew alot of leaves and dirt into my pool. When I was vacuuming the bottom I noticed that all the dirt that I was vacuuming up was being shot right back into the pool through the inlet port. So I Took the top off of the filter head and checked the rubber gasket on the selector. It was in good shape. I then pulled the whole head off and checked the sand for a water channel that might be bypassing the sand’s filtering ability and going straight to the laterals. No luck. So I vacuumed out all the sand thinking I might have a broken lateral. They are in great shape. So I put new sand in the filter since I was in there and fired it up only to find it still shoots the dirt, and now algae back into the pool. Am I missing something or is my filter broke to the point I need a new one. By the way, this filter was installed in March ’96 and has worked perfect the whole time & this is the 5th time in 14 years I’ve replaced the sand & the laterals are original. I as well am having a similiar issue but dont know exact age of pool. Ordered new laterals should be in today. Didn’t know at the time i need a dome wrench to remove the top part. I wasn’t thinking and should have read further. But I also have heard it may not be the laterals I guess this is where the pool companys make there money. In the diagnostics area. My next question would be how do I release the pressure from the filter or is there pressure in the filter. I see you have to shut the whole thing down and have googled everyway I can how to unscrew the dome off the filter. The dome top on my Hayward S200 recently incurred some damage. I have a friend rebuilding and changing the gaskets, etc. to save some money. Do you have any ideas where I could get the replacement dome at a reasonable price? I would look on Craigslist in your area for a used filter and then use the parts or even post an ad on CL looking for that filter. Joseph – I have an old S-200. I opened it to change out the sand and the internal diffuser elbow pipe (top) was broken. I got the replacement part but the way the internals are set up you can not just screw it on – the bottom internal elbow pipe is in the way. Can you tell me how to make this change without taking the whole thing apart? Have you removed all the sand from the filter? on a Hayward S200 exactly what must be opened to replace the sand – all the bolts around the middle of the tank??? Yes, you can do that OR buy a SAND VACUUM that works with a venturi effect and that will be easier. 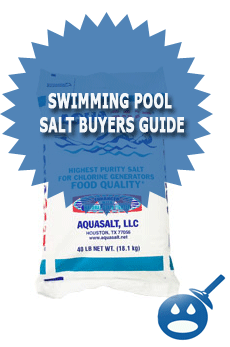 They can be bought online or at a local pool supply store. Basically you hook this onto your garden hose and then a hose on to the sand vacuum and then the other end of the hose goes into a mesh bag and the water drains out and then the old sand goes into the bag. 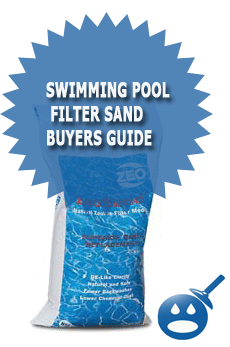 Here is a picture of the swimming pool filter sand removal vacuum. Otherwise you will have to remove all of the bolts and then scoop out all of the 200lbs of sand by hand. Thank you – I actually did it by hand – what fun – will have the proper tools next time!!!!! I am glad to hear you got er done! I replaced the sand on my S244T, I put everything back, but now it’s leaking thru the clamp, should I replace the clamp and or o-ring, is it possible any of it got damaged?